Philadelphia Police say that a Bustleton man who suffers from cerebral palsy that went missing last week has been found dead. 60-year-old Gerald Fomalont left for work last Wednesday, 1/30, around 6:30 a.m. from his home on the 9900 block of Bustleton Avenue. He did not return later that day after work. 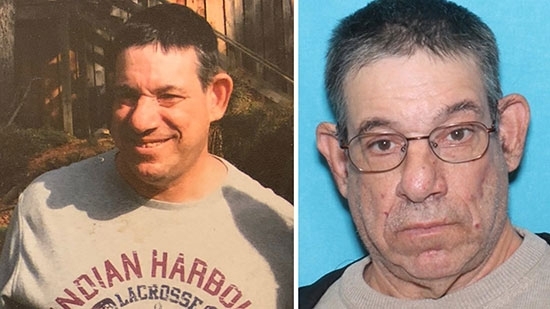 Police say that he was last seen walking toward Roosevelt Boulevard to where he takes one of two buses back home near Bustleton Avenue and Red Lion Road. Fomalont had diminished metal capacity as well as cerebral palsy. He was reported missing last week and his picture was circulated. Fomalont's body was found around 2:48 p.m. Saturday, 2/2, near train tracks on the 11300 block of Northeast Avenue, about a mile from his house. Temperatures plummeted to single digits last Thursday and was below freezing for a few days. Police say an autopsy will be performed to determine cause of death. The investigation is ongoing. A man was shot early Monday morning, 2/4, after being robbed at gunpoint in Germantown. It happened just before 1 a.m. on the unit block of E Woodlawn Street. The 21-year-old victim was walking when two masked men approached him. One of them was armed with a handgun. They took his wallet and then shot him in the stomach. They fled in a silver car. The victim was able to walk a half a block to his home on East Armat Street. That is where police found him. He was taken to Einstein Medical Center in critical condition. Police did find a shell casing back at the scene. They are hoping to find surveillance footage and talk to potential witnesses. A fire in the Crescentville neighborhood has killed one resident and injured two others. Firefighters were called to the 900 block of Foulkrod Street around 2:15 a.m. on Monday, 2/4. Heavy smoke and flames were coming from the two-story twin home's second floor. The fire was also spreading to the adjacent home. They were able to rescue a 79-year-old man from the second floor. He was rushed to Temple University Hospital with burn injuries. His 58-year-old son could not be reached in time and died in the fire. A firefighter was injured after being struck by debris. He is expected to be ok. There were working smoke alarms in the house, they were going off when firefighters arrived. The fire was brought under control around 2:50 a.m.